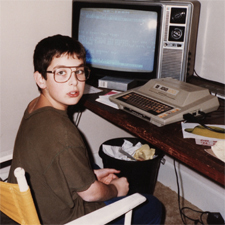 The hacker community has changed since Joe Grand first discovered it as a kid in 1982. Back then, tinkering with technology was a guarantee for ridicule and torment. Only those truly curious were connecting to computer systems, traversing the telephone network, and occasionally causing mischief. Today, hackers have largely become accepted into mainstream society and, at times, even influenced by corporate culture. In this session, Joe will trace his rebellious path from technological juvenile delinquent to the redirection of his passion towards good. He’ll reminisce about the early days, talk about lessons learned, and detail some of the projects he built along the way. The moral of the story is that what you do should be dictated by what you love and believe in, not by what others think or say. In this day and age, that’s more important than ever. Originally presented at Roadsec São Paulo, November 10, 2018.